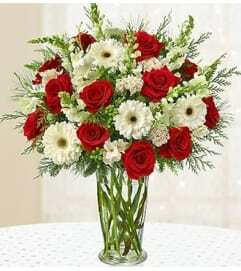 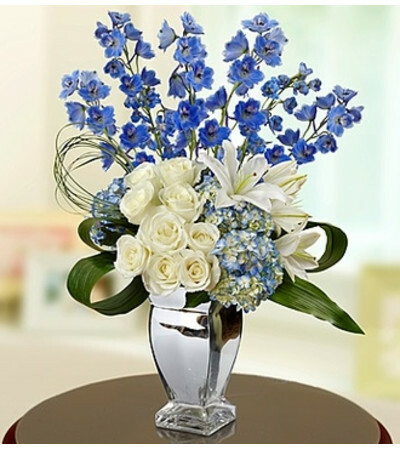 Give them a reason to celebrate with our most stunning arrangement of the season! 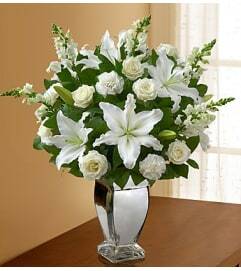 Crisp white roses and lilies create a beautiful complement for the deep blue hydrangeas and towering delphinium. 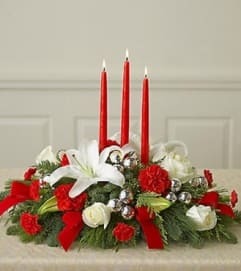 Accented with lush greens and hand-arranged in an elegant silver vase, it’ll deliver non-stop smiles for Hanukkah, Christmas or “just because” the holidays are here.